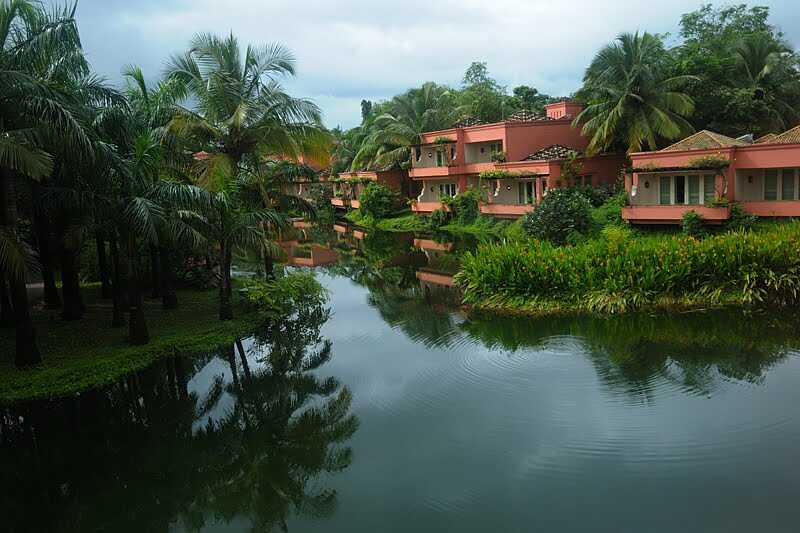 Last year, we went on a short vacation to Goa and stayed at the Leela. Though this was not a holiday into the Indian wilderness, we were quite amazed at the variety of bird life at the hotel premises. The below image gives you a view from our room, which overlooked a pond. 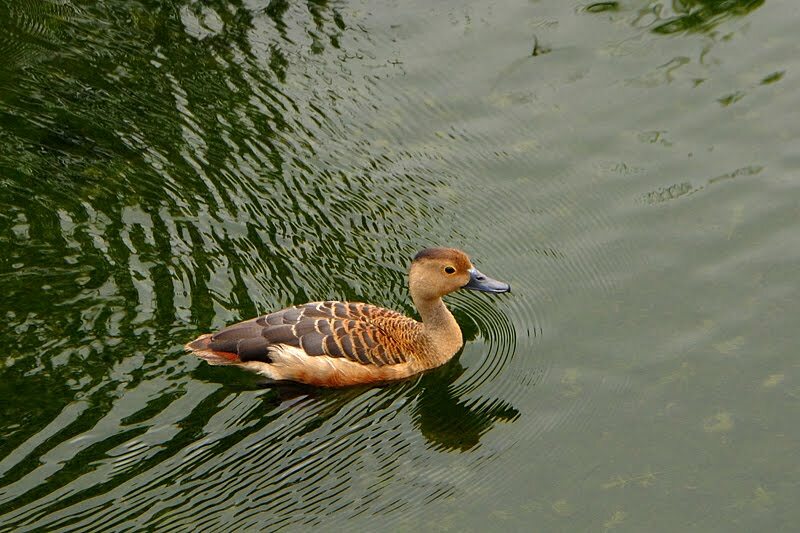 We were pleasantly surprised to see that a flock of Lesser Whistling Ducks had made this pond their temporary home during the day time. We had a wonderful time observing these shy bird species from the comfort of our hotel room. 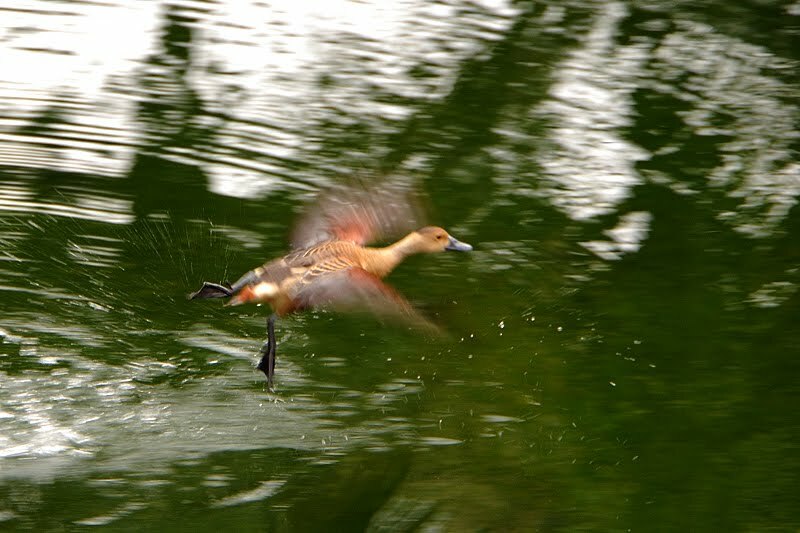 The Lesser Whistling Duck is a widespread resident in Asia. 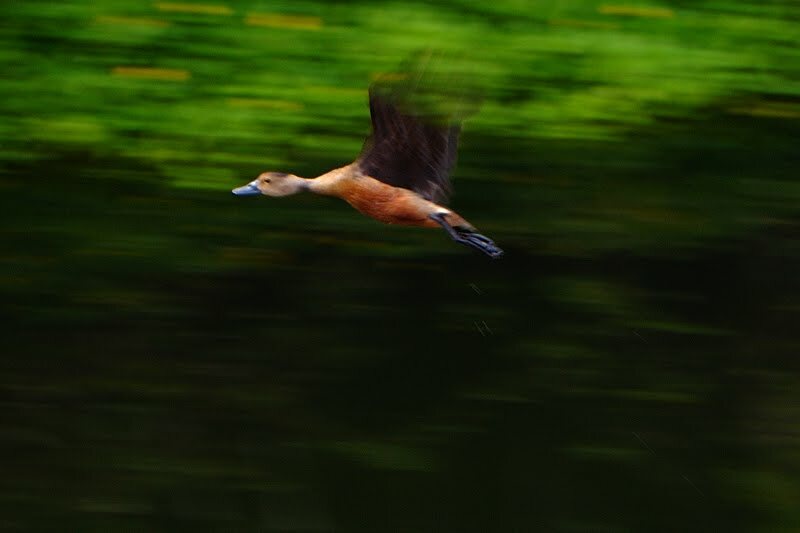 They are commonly known as the Indian Whistling Duck and sometimes also referred to as the Tree Duck for their behavior of nestling in tree holes. 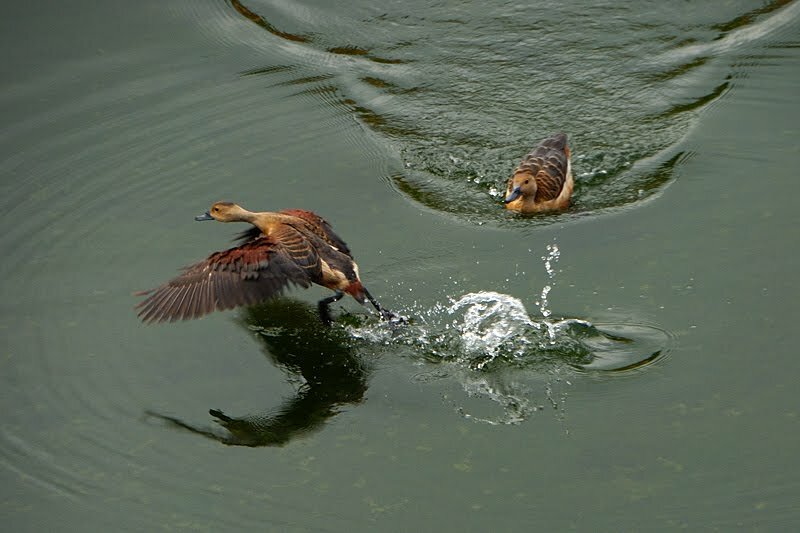 We spent sometime everyday during our stay there, observing the territorial display of these ducks. Given the fact that we were vacationing in Goa, we had not taken our camera gear and all these photographs were taken with the D300 mounted with the general purpose 18-200mm lens. Wow! I like the second shot the best. It is full of dynamic. 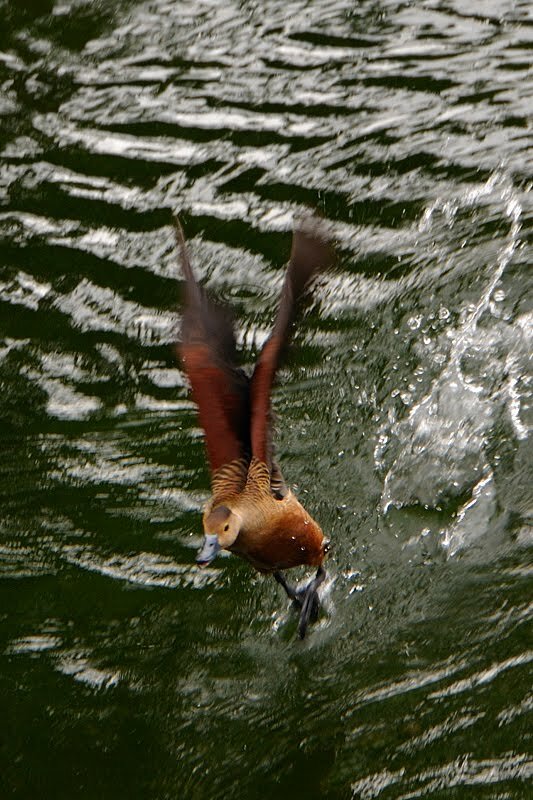 Very nice duck, love the 2nd and 3rd image…different and original! Excellent collection! Looks like a great hotel, too. 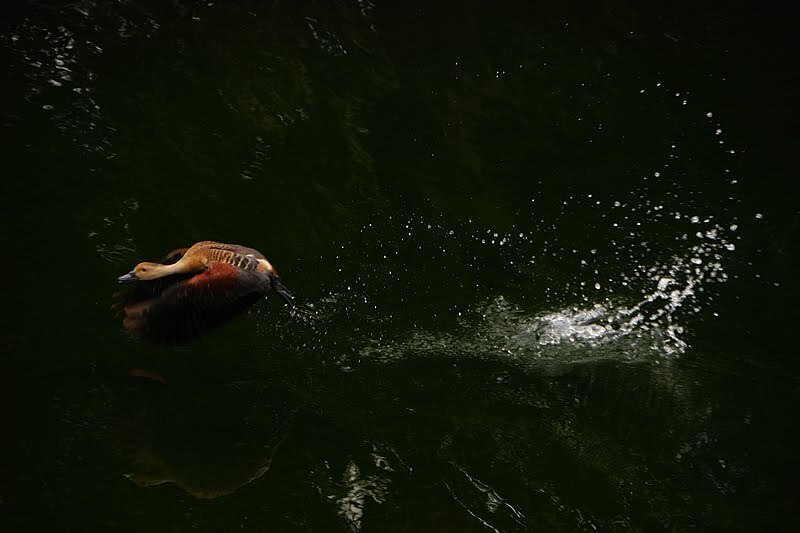 Great shots from simply 18-200mm lens! Very nice! What a great serie, amazing shots dear Thomas, very nice ! What lovely ducks and you have done a great job capturing their images. pretty duck! the first photo is stunning. what a great place to stay. Thomas these are cool action shots!